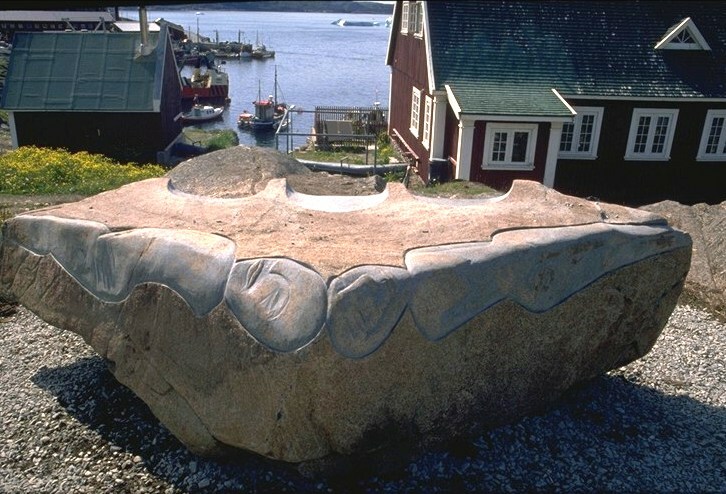 The Diabas Monument, which has been given a permanent position in the city, has been given the title "Love Bench" by Marit Benthe Norheim. 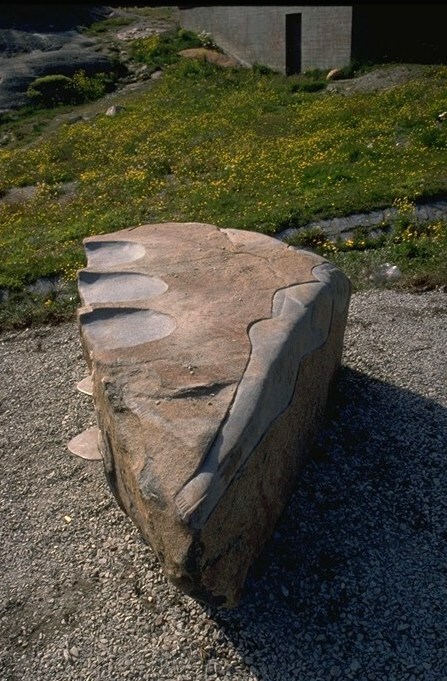 She has transformed a large stone into a bench, but done so in such a way that the stone retains its distinctive character. On the front and the back of the bench she has carved lovers, who almost appear suspended. They also look as if they have emerged out of the large, heavy stone. On the front, the viewer encounters two lovers, who have a very poetic approach to love life. On the back part there are two female figures with open laps - they flank a male figure. All three have a more sensual approach to love life and seem increasingly to be in the thrall of their sexual drive. One could interpret the figure groups on the Love Bench as modern petroglyphs because they act as both figures as well as symbols. 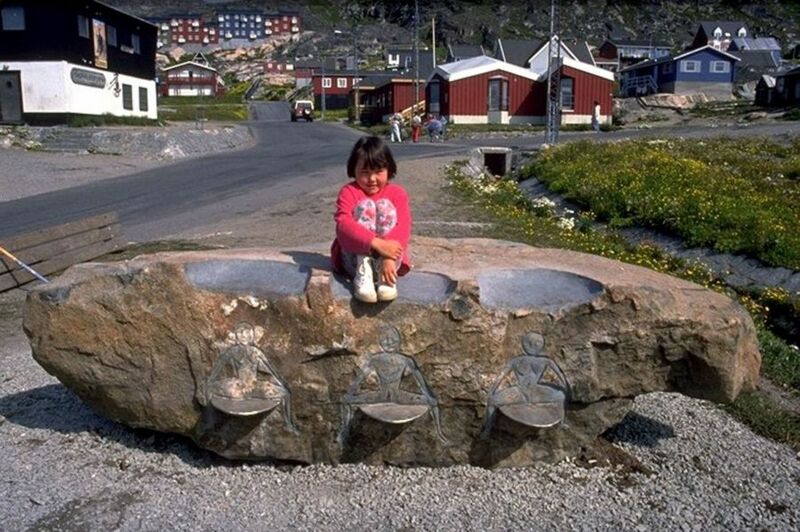 Marit Benthe Norheim has described the Greenlandic project as follows: "When I came, I was completely blank. But then I found the outlook point on Vatican hill, where there was a lone wooden bench. The area was perfect for a sitting-sculpture. There were papers and condoms all over the place. The language between the sexes seemed to be fairly bold up here. Something that I tried to express in a gentle facade and more intimate back side." 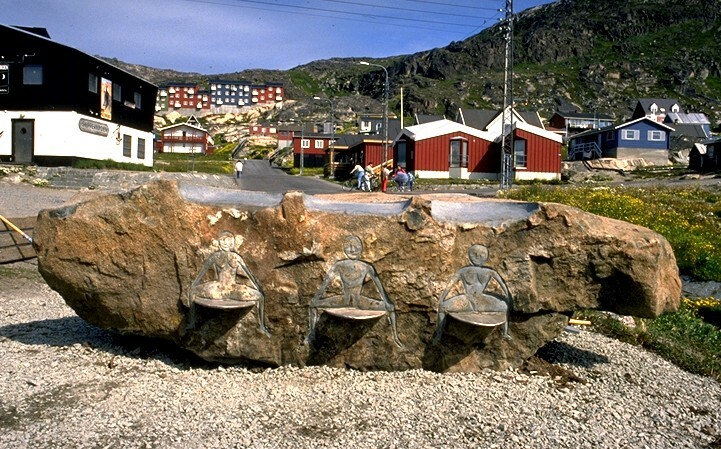 From the Love Bench there is a view of the sea and out onto the monumental Greenlandic nature. "This bench provides the area that it is located in with a new identity because it relates poetically to its surroundings. It can also be characterised as a work that creates an inviting communal space or a respite in the city and establishes a new framework for experience and being. 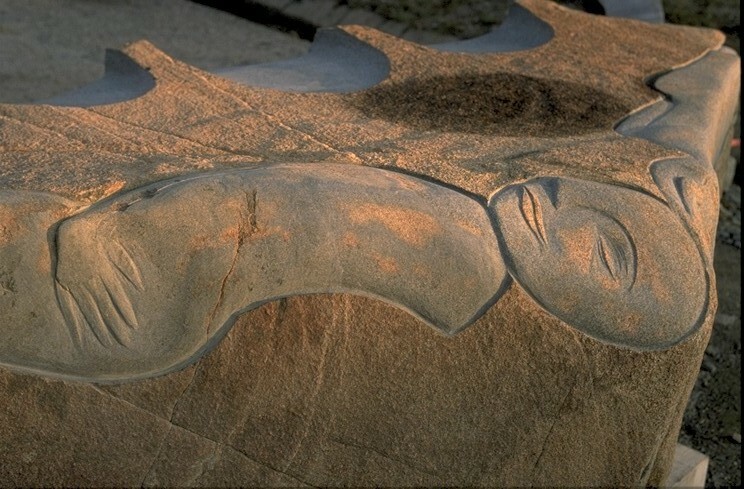 With her imagination and her capable hands she has coaxed a fascinating artwork out of Greenland's ancient rock."